18 km long, untouched beach. We will be very happy to welcome you in Patara. Here is a very special place with a great history and unique beach. Besides that here is a small village with very warm people. It will be an unforgetable experience for anyone visits here. 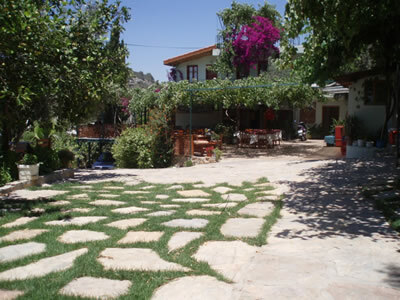 We have just returned from Patara where we spent 9 nights staying at the absolutely delightful St Nicholas Pension. We arrived as strangers but were given a very warm welcome and when we left, we left as friends. Meals at the St Nicholas are extremely tasty and the portions sizes are very good. Breakfast was served has to be the best Turkish breakfast in Patara. I'm addicted to the home made fig jam - simply gorgeous! 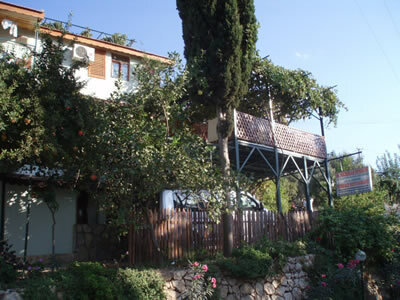 St. Nicholas Pension is one of the first places accomodation in Patara. Our family has beed running this place for more than 25 years. 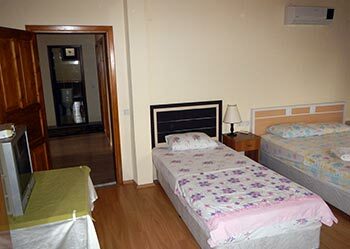 We had renovated the building several times before. 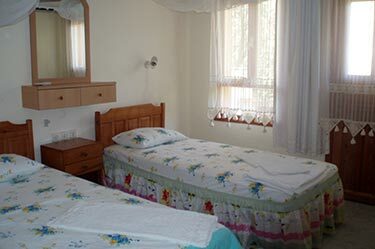 We provide our guests a comfortable accomodation in the village with a warm turkish hospitality. All of our family members and our staff are doing their best for our guest to have a pleasant stay. We all like to inform our guest about our region and culture and serve delicious traditional foods of our country. We also run a popular restaurant with the same name. At our restaurant we serve excellent mediterranean food from local pruducts, which are mainly produced by us. During the off season we welcome many trekkers who are walking the Lycian way. We also have a closed space with a fire place to serve breakfast and dinner during winter. Hover your mouse on one of images below and then click on magnifier icon to learn more about this room or send a reservation request. Booking with a credit card via booking.com is possible It is recommended for short stays. Your card will not charged by us or booking.com. Payment is at arrival. 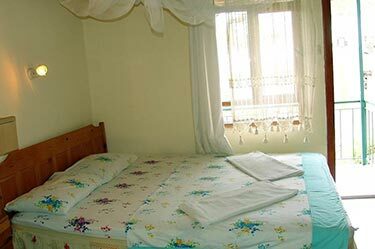 For long stays or if there is not available room at booking.com please contact us direcly by filling reservation request form. Thank you.